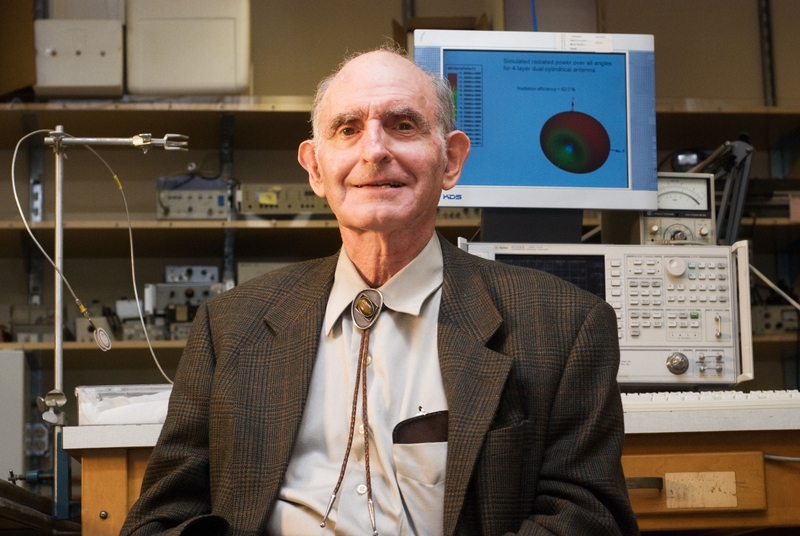 Sheldon “Shelly” Schultz, one of the founding members of the physics faculty at UC San Diego, who received world-wide acclaim for his contributions to the discovery of “metamaterials,” died on January 31 at his home in La Jolla, CA. He was 84. Born on January 21, 1933 in New York City, Schultz received his undergraduate degree in mechanical engineering from the Stevens Institute of Technology. He joined the faculty at UC San Diego in 1960 after completing a Ph.D. thesis at Columbia University, advised by Polycarp Kusch, who won the Nobel Prize in Physics in 1955. Schultz arrived on the La Jolla campus as an assistant professor of physics, became a full professor in 1971 and continued as a research professor until 2013. An active and respected leader on campus, he was also the director of the university’s Center for Magnetic Recording Research from 1990 to 2000. In 2000, Schultz, along with his postdoctoral researcher David Smith, and others in Schultz’s group, created a revolutionary new class of materials now known as “metamaterials” that allows electromagnetic waves such as light to be bent and manipulated in ways not normally encountered in nature. The breakthrough finding by Schultz’s lab—which built off the work of Russian physicist Victor Veselago, who originally theorized about the properties that such a material could possess if it existed, and British physicist Sir John Pendry—was initially met with skepticism as it was contrary to the established view at the time. But skeptics were proved wrong—and the discovery was eventually named one of the “Top Ten Breakthroughs in 2003” by the journal Science. In 2009, Thomson Reuters added Schultz to its list of potential future winners of the Nobel Prize in Physics. In addition to his scientific research, Schultz was a beloved and inspirational teacher who cared deeply about each and every one of his students from undergraduates to postdoctoral fellows. His enthusiasm and dedication forged the way for many of his students to develop distinguished careers of their own. Notably, Smith, who continues working in the field of metamaterials; Dan Pinkel, who developed the comparative genomic hybridization (CGH) technique which was utilized as a method of cytogenetic analysis in the field of biology; and Donald Eigler, who became the first person to image and precisely position single atoms. A highly regarded friend and colleague, Schultz maintained close relations with many of those he worked with and mentored. In addition to his academic career, Schultz co-founded and was president of Seashell Technology LLC, which has made several important contributions in the field of nanotechnology. He is survived by his loving wife, Carol, of 63 years; his children Mark of Los Altos, CA; Laurie Kreutz of San Diego; and David of La Jolla, as well as his grandchildren Stephanie, Elizabeth, Rachel, Kevin, Maya and Adrien. In lieu of flowers, the family requests donations to a Parkinson’s foundation of your choice or “The Sheldon Schultz Prize for Excellence in Graduate Student Research” in the Center for Magnetic Recording Research.